In the last decade, Europe has been roiled by the rise of populism and right-wing radicalism, which greatly resembles the political climate of Europe in the 1930s. 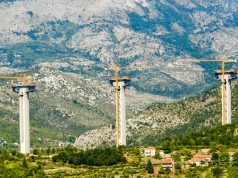 The Western Balkans follow this pattern, and Bosnia and Herzegovina is no exception to this trajectory. 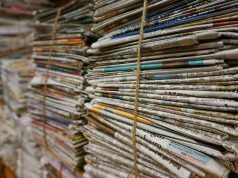 The Bosnian state seems to be involved in an infinite loop of constitutional crisis, from the incompetence of government to the continuous disregard of the rule of law by the same government officials. Moreover, experience has shown us that in these last two decades progress and solutions coming from BiH politicians are slow, often inefficient, short-sighted, and self-serving. 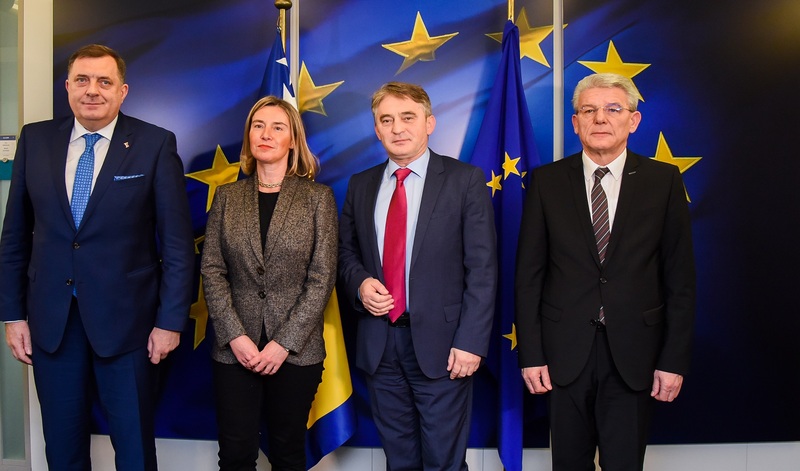 As a result, the Dayton Peace Agreement seems to have reached a new nadir in terms of the prospect of reaching consensus and decisions that benefit BiH as a whole. The problem is more acute, however: under present constitutional structure, BiH cannot become a member of either NATO or the EU. To address this issue, it requires the increased involvement of the authors of the Dayton Agreement in its inevitable revision and “upgrade” towards a new citizen-oriented constitution, which would in return pave the way for visible progress of the country in both the short and long-term future. The situation in the region brings more urgency to this problem. 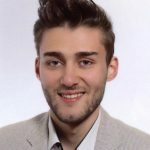 The issue between Kosovo and Serbia directly connects to the Bosnian case, and a potential “border correction” along the ethnic lines would have a domino effect across the whole region. 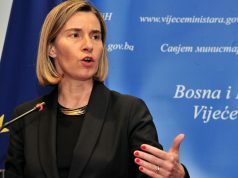 Encouraged by the passiveness of the international community and bolstered by the Mogherini-Bolton stance on partition deal, the Republika Srpska (RS) authorities would use the precedent of a Kosovo-Serbia partition deal for the possible secession of the RS and destabilisation of BiH. For such a case to be avoided the animation of foreign powers, especially the U.S. administration, is of essence in BiH. Greater U.S. involvement is not only needed to assist in the resolution of BiH’s evident internal constitutional crisis, but also the blockade of NATO integration by structures and politicians in in the RS. NATO membership is crucial for BiH, as it provides a fundamental guarantee of the country’s sovereignty and territorial integrity, currently under threat by the RS authorities. But BiH is also under assault by its other neighbours. Following the country’s general election in October 2018, the Croat nationalist HDZ BiH and its sister party in Zagreb have exerted immense pressure on BiH to change its election law, both through domestic institutions in the country and Croatia’s representatives in the EU. 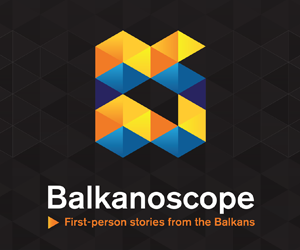 Furthermore, according to latest reports, Croatian intelligence operatives have tried to orchestrate a false flag operation in BiH, by arming Salafi pockets in BiH, in an attempt to paint the country as a major extremist hub in the Balkans. And increasingly, it appears as though the HDZ’s activities in BiH are being conducted in concert with Dodik’s SNSD. Instead of working together towards expanding bilateral relations, continuing socio-economic reforms and enhancing trade and services, BiH faces growing threats to its political and territorial stability, as well as increased revisionism of settled historical record of what occurred in the country in the 1990s. This approach only leads to further degradation of an already painstakingly won but easily undone peace and reconciliation effort in the region. Worse still, as pro-Bosnian forces have taken a back-seat on concrete actions, the growing ties between Dodik’s SNSD and newly forged alliances with the far-right EU parties like the Freedom Party of Austria and the Northern League of Italy implicate a different future landscape. In the upcoming elections in May, the EU will, by most forecasts, frontier a Parliament with more right-wing seats than ever. This likely surge in support for right-populist parties will only make the prospects of constructive EU engagement in BiH and the region more difficult. Dodik and his party politics could easily be more legitimized in the eyes of the Western establishment than he is today. This support would allow him to further undermine the rule of law and violate the constitution of BiH with his secessionist ambitions. 1. 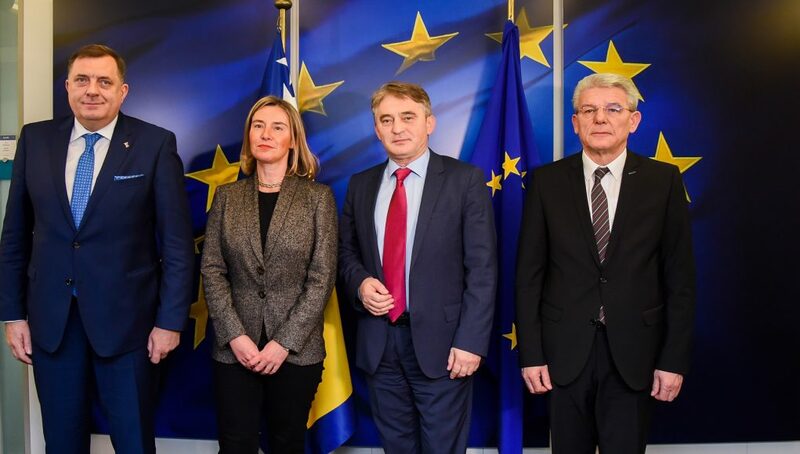 The OSCE, European Commission, NATO, and all other relevant international bodies in BiH should better share information and communicate with each other, including forcing a stronger monitoring of the political scene in BiH as to the real state of politics on the ground, especially as concerns active security threats in conjunction with the political actions of the European radical right actors, Russia and others. 2. The re-animation of the international community to identify serious destabilizing factors in the forms of political organizations, parties and their leaders and impose serious financial and political sanctions through the use of OHR instruments. These sanctions – following the example already established by the U.S. recently – have to be coordinated and expanded with the help of other countries but in particular the key EU states such as Germany, France, and Italy, as well as the United Kingdom. They also have to be targeted through the work of the World Bank and the International Monetary Fund in BiH. 3. The re-establishment of a credible international force in BiH to deter any possible terrorist and paramilitary attacks on peace and order in the country. Increase the presence of NATO forces to buttress the existing but insufficient EUFOR Althea mission. These troops should be located outside of Sarajevo, and be based in strategic (and potential flashpoint) locations like Tuzla, Brčko, and Mostar serving as a warning to all protagonists of secessionist politics and destruction of the legal framework of the country. Despite its myriad problems and the threats facing it, BiH has made tremendous progress since the end of the Bosnian War. But that progress is precarious and requires rejuvenation and the support of the international community, especially the United States. Doing so in timely fashion can avert a much serious crisis, the outlines of which are already coming into view.